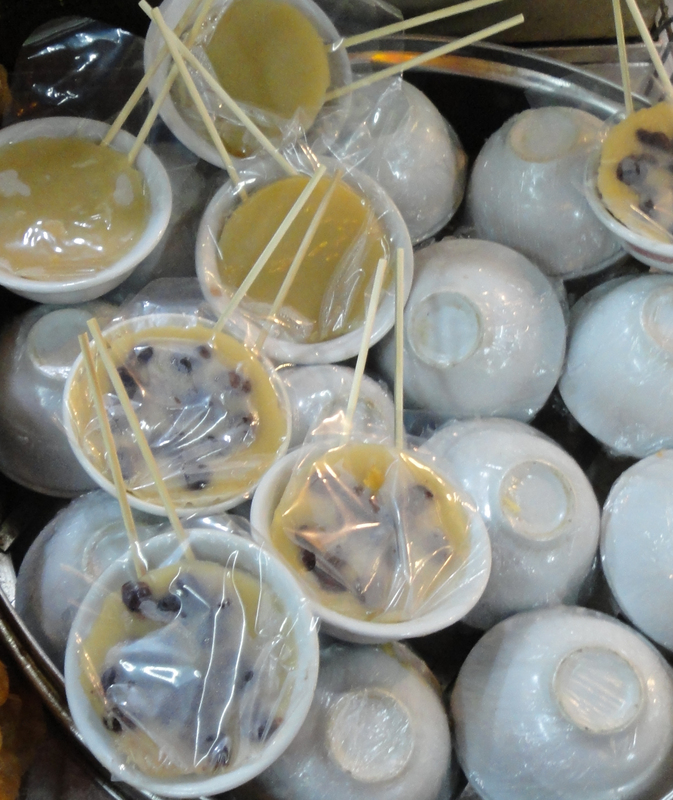 HK Old Style Sweet Pudding 砵仔糕 is a very old traditional snacksin Guang Dong. They have two favours. Brown one is made if brown sugar while white one is made with white sugar. You can also choose with or withou red beans in the middle. The taste is a very simple sweet sugar taste but it is a bit glutinous but smooth. When I was young, you could find this on the street. It must be served warm and with very low price, just a few bucks. But you could hardly see this kind of hawker in HK now. If you are lucky you may see it in some small shops in old area of HK.